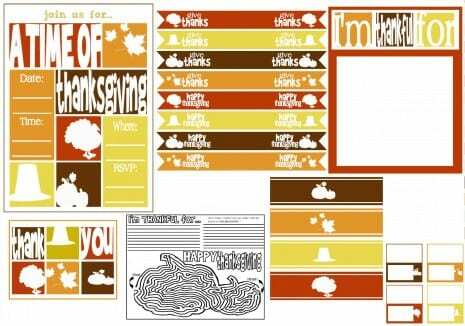 Includes: an invitation, party labels, drink flags, water bottle labels, “I’m thankful for” cards, tented cards, a “Happy Thanksgiving” banner, and a kids’ activity/coloring sheet. 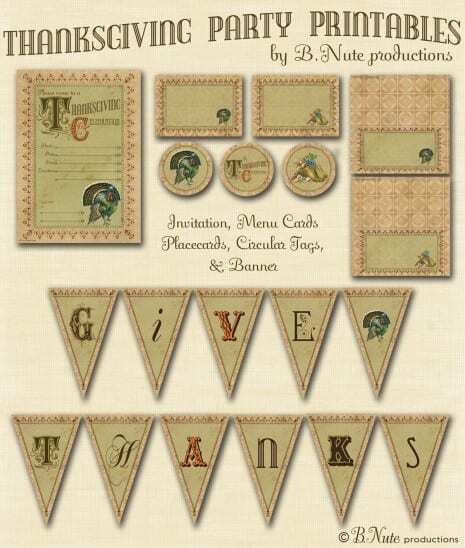 Collection includes: place cards, food tent cards, food labels, straw flags, thank you tags. 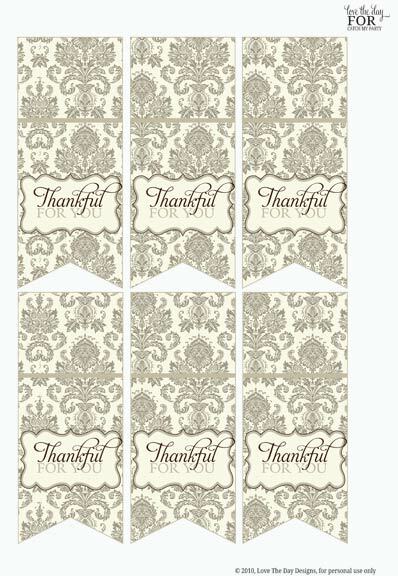 Includes: an invitations, menu cards, party circles, tented cards/place cards, and a “Give Thanks” banner. 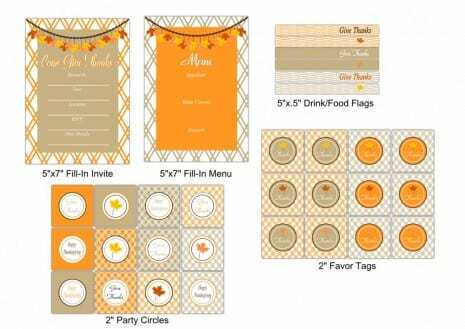 Includes: an invitation, party circles, cupcake wrappers, food labels, favor tags, drink flags, and a Happy Thanksgiving sign. 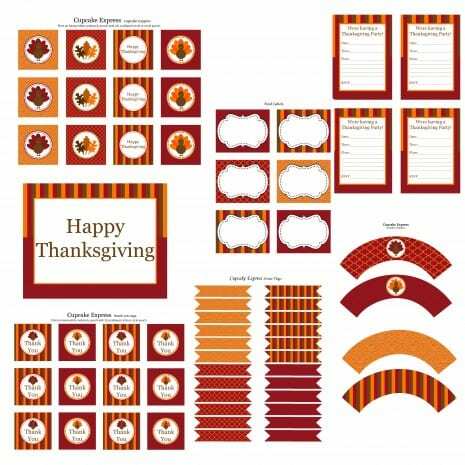 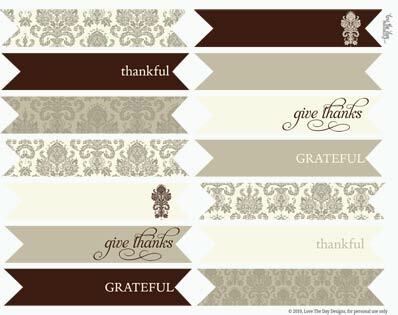 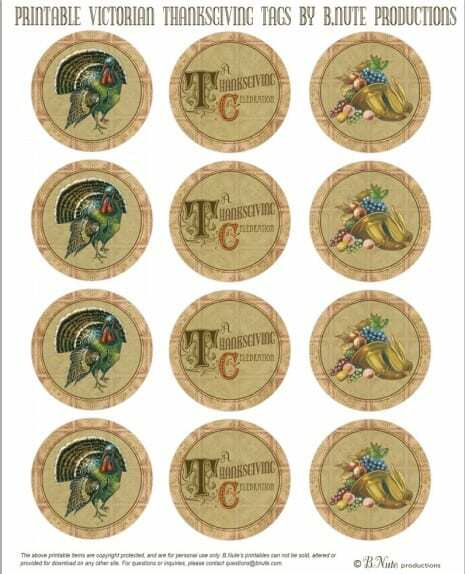 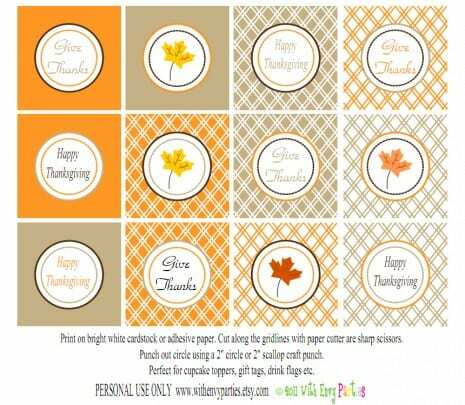 This collection includes: an invitation, party circles, cupcake wrappers, food labels, favor tags, drink flags, and a Happy Thanksgiving sign. 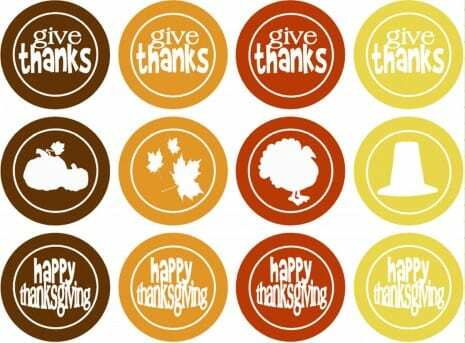 If you need inspiration for your Thanksgiving celebrations, check out these Thanksgiving parties on our site. 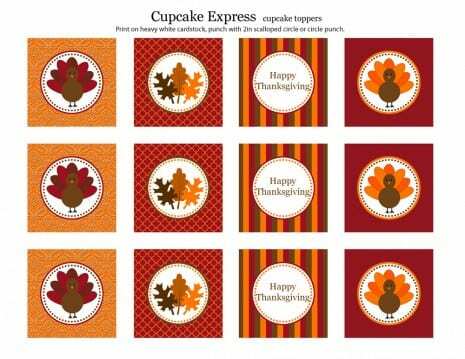 Also, if you haven't seen our free printables page, take a look, there's so much to choose from!